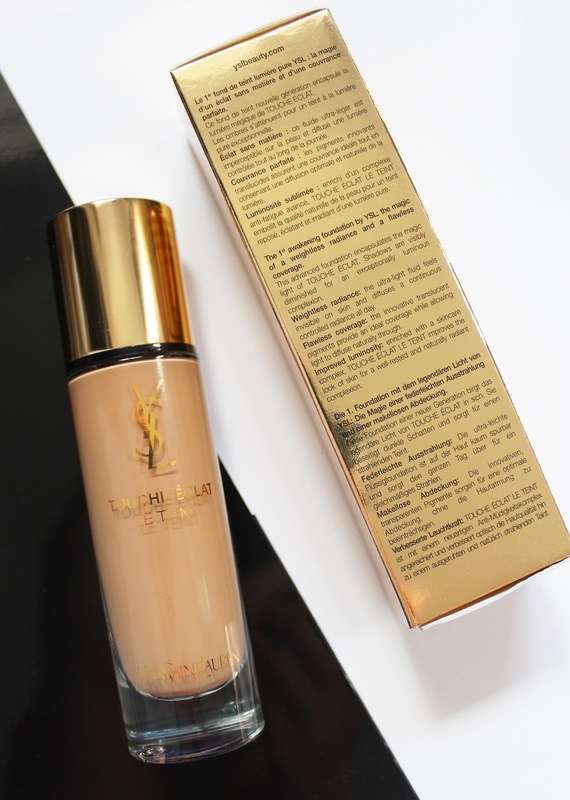 At a price tag of nearly $100, you would want this foundation to perform extremely well. It certainly delivers in the packaging department, with a heavy glass bottle, gold lid, which reveals a pump - big ticks from me. So, what does this foundation claim? It is the 1st awakening foundation, with the 'magic of a weightless radiance and a flawless coverage'. It promises to be ultra-light, diffuses light and banishes shadows, and improve the skin quality for a well-rested and radiant complexion. But how did it fair on my skin? I am oily/combination. I start off quite dry in the morning but the oil always tends to creep through throughout the day. First off I found this very easy to blend, more so with a damp sponge, though - two pumps was more than enough to give an even thin layer to my skin with great coverage, but you could also build it up to a higher coverage. 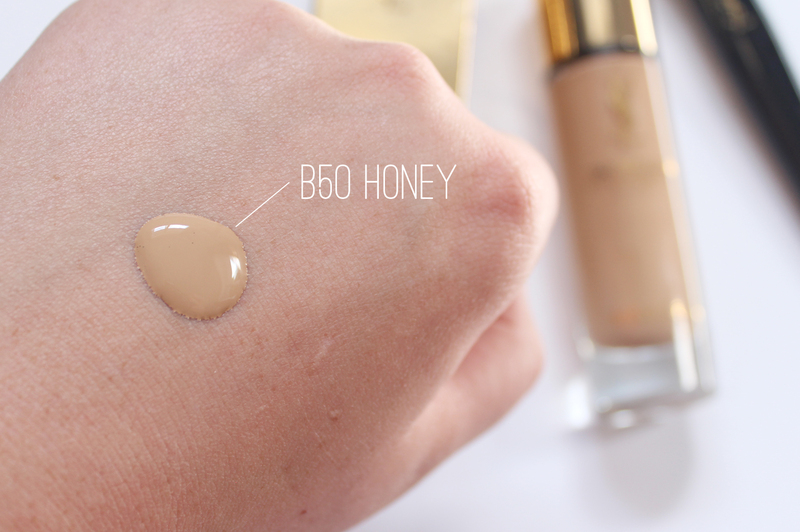 The shade I have B50 is definitely too dark for me currently (it comes in 15 shades), although matches well with a fake tan. I found it smoothed over the skin, didn't sink into my pores or fine lines and left my face with a radiance, that wasn't too greasy looking, but had a slight matte finish. Throughout the day I do find I need to powder or blot after a few hours, but it wears well without gathering or clinging to certain parts of the skin. I think it is absolutely beautiful on the skin, for a drier complexion this would be one to try out, and even if you are slightly oily, it still works well. 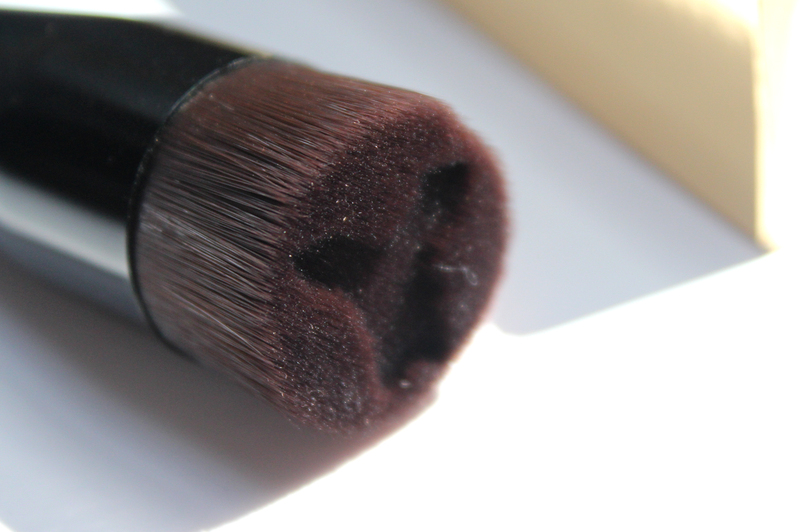 This is a unique foundation brush, with a YSL 'Y' cut into the hairs of the brush as a reservoir for your foundation. A pump in this and then buffed onto the skin, gives a very natural finish, although I did find I was left with a few brush marks, so I had to go over with a sponge. The reservoir certainly makes it easy to apply to the skin, but when I want to wash it, it takes a few goes for it to completely clean the excess from the brush. 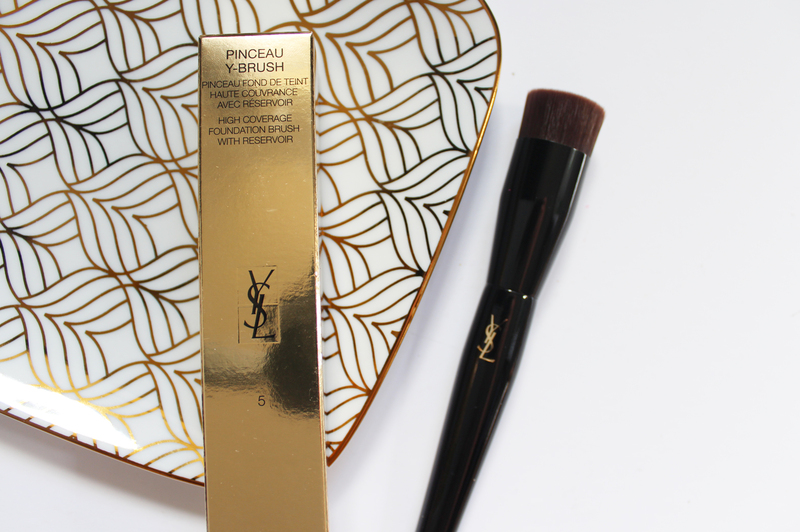 The overall brush is beautiful quality and the bristles feel very soft, but it isn't essential to have this to apply the Touche Éclat Le Teint Foundation. YSL is an expensive brand without a doubt and it is important to go in store and try the products, even on the back of your hand. I am sure though that the staff would be more than happy to assist, especially with picking the right shades! Have you tried this foundation or the brush? 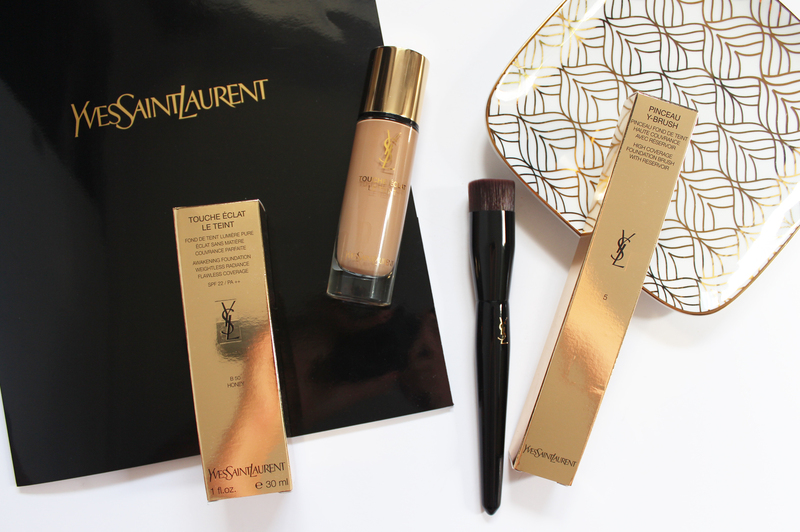 What YSL products do you own?